When Kristen Wiig announced that she was retiring from Saturday Night Live, I was bummed to hear that I’d never again enjoy the hilarious, neurotic and attention-seeking Penelope, one character that Wiig plays so well. I relate to her “topper” antics, not that I’d consider myself a competitive person, but in the cooking world, sometimes chefs get a little one uppish. When I found out my friend’s husband, who loves strawberry pie, hits Marie Calendar’s for one of their abundantly-stacked, red-gel glazed marvels when the craving arises, I wanted to top that. 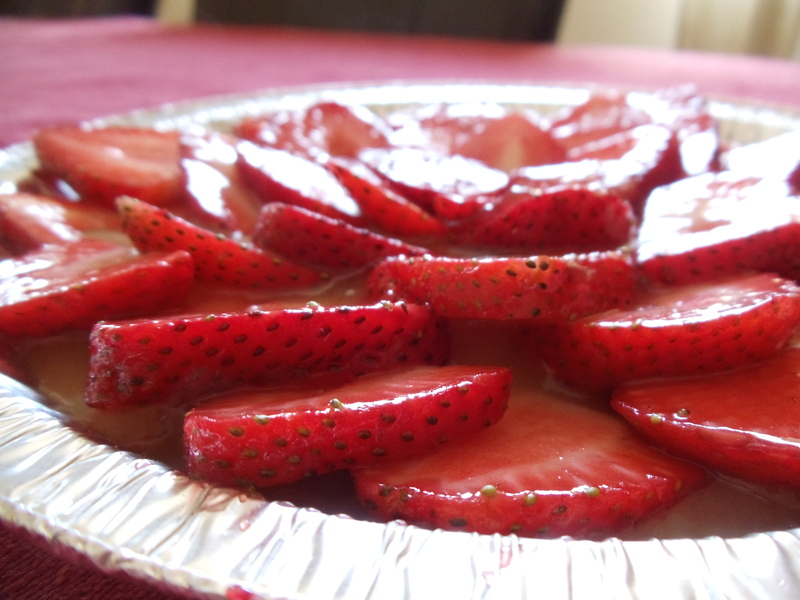 For his birthday, I made an easy strawberry lemon tart with a zingy, buttery shortbread crust so punched up with flavor he’d never miss MC’s. This one is for you, Penelope. Make the shortbread: Heat oven to 300 degrees. 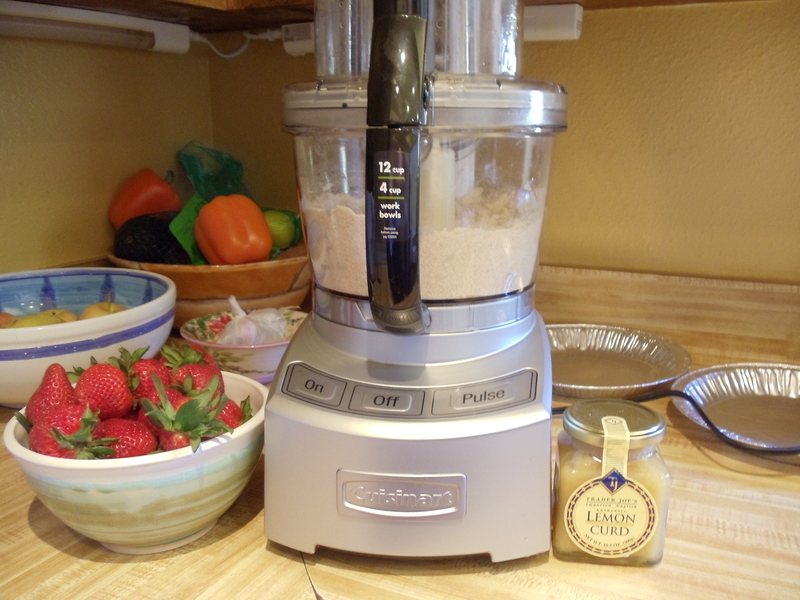 Blend the first 5 ingredients in a food processor. Add butter; cut in using on/off turns until moist clumps form. Gather dough into ball (dough will be crumbly); divide in half. Press 1 dough half onto bottom of each of two 8-inch-diameter pie or tart pans. Pierce dough all over with fork. Bake shortbread until cooked through and lightly golden, about 40 minutes. Remove from oven and cool for about 10 minutes. Gently toss the cut strawberries with the jam and lemon juice mixture. Divide the lemon curd onto both shortbread tarts, then arrange glazed strawberries on top in an even layer. Slice tarts with a very sharp knife and serve with whipped cream if you like. With easy tips like using a food processor (make sure your butter is extra cold) and jarred lemon curd, this tart comes together effortlessy.